Well I just approved all of them so that people can see that this is really a real phenomenon. 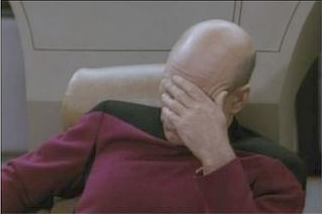 Dave Palm will be commenting a bit but I won’t’ let it to oto long. My good friend and fellow convert David Palm is an expert on Geocentrism, the idea that the earth is the stationary center of the universe. He has thoroughly exposed this ridiculous position below. Here is for the education of those who may be enticed by the fringe ideas presented by fringe people. Unfortunately, this fringe scientific view is also being touted by these proponents as the official teaching of the Catholic Church. The mainstream media and blogsphere have been having a field day with this, often seeking to make the Catholic Church look ridiculous. And some good folks, Catholic and non-Catholic alike, have been confused and troubled by these geocentrists both as to the actual teaching of the Catholic Church and the science involved. 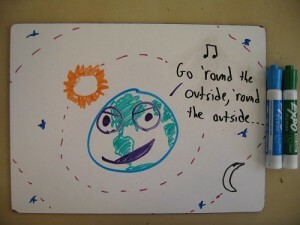 “You can view new updates to Geocentrism Debunked (www.geocentrismdebunked.org), a web site that provides a great deal of information debunking this claim that the earth is the motionless center of the universe, particularly that this is the official teaching of the Catholic Church. In the latest update, you’ll find a selection of newer articles covering the topic from various angles—science, theology, history, and more. The Magisterium Rules: The Debate is Over – In 1820, Pope Pius VII decreed that there are “no obstacles” nor “any difficulties” for Catholics to hold that the earth moves. Two years later, the Holy Office even decreed that there would be canonical punishments for any Roman censor who refused to allow publication of books supporting the motion of the earth. With good reason, then, Pope St. John Paul II stated in 1992 that the debate concerning whether Catholics may hold to modern cosmological views which include the motion of the earth “was closed in 1820?. There He Goes Again – In a follow-up to his scientific critique of the new geocentrism, Here Comes the Sun, physicist Alec MacAndrew spotlights still more of Robert Sungenis’s scientific misunderstandings and errors. 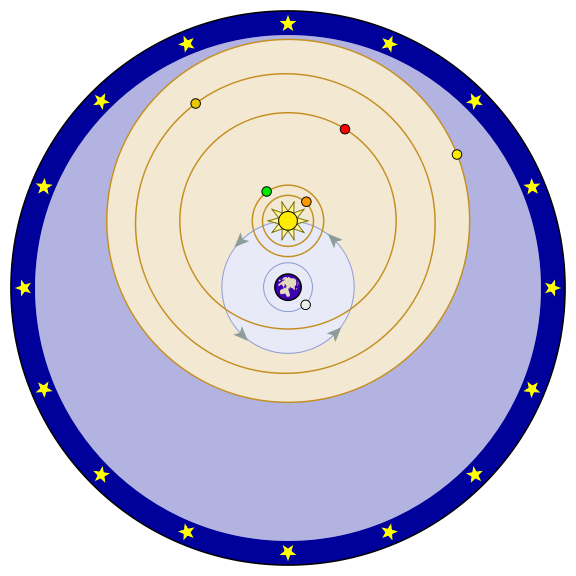 Sungenis continues to argue that geocentrism works under classical mechanics, but MacAndrew demonstrates that Sungenis’s claims of gravitational balance and his “center of mass” arguments fail. MacAndrew also notes that Sungenis failed to address the glaring Great Inconsistency at the heart of the modern geocentrist polemic, namely, that they reject General Relativity while simultaneously using it to promote geocentrism. The Four Elements and the Four Humours: Will You Go the Distance? – The Catholic Church teaches that a consensus of the Church Fathers only binds on matters of “faith and morals”—the Magisterium has clearly shown in both word and practice that matters of natural philosophy (i.e. science) are not included. But the new geocentrists insist that a consensus of the Fathers on any topic whatsoever automatically becomes a matter of faith. This error puts them squarely on a collision course with the Magisterium. It’s Elementary My Dear Geocentrist – The Fathers and Doctors of the Church are in agreement on the view that the entire physical universe is made of four and only four elements—earth, water, fire, and air. They held this as a matter of natural philosophy, as the best science of their day. But according to their own standards, the new geocentrists should therefore insist that all Catholics hold that view too, as a matter of faith. Similarly, as they do with geocentrism, they should also be insisting that the Magisterium of the Church has been completely derelict in its duty to uphold the “True Faith” on this issue. Those who have been influenced by their appeal to the Fathers of the Church might want to look a bit more closely at exactly where this train is headed. The Geocentrists Have No Sense of Humour – The Fathers and Doctors of the Church are in agreement, as a matter of natural philosophy, that the physical and emotional health of the human body is determined by the balance of the four humours: blood, phlegm, yellow bile, and black bile. Why have the geocentrists not produced a documentary and books decrying all modern medical advances and insisting that Catholics must hold to humourism as a matter of faith? Will the new geocentrists be consistent and denounce the Magisterium as derelict in its duty to teach the “True Faith”, the four elements and the four humours? That’s the Whole Ballgame Right There! – Podcaster and Michael Voris associate Christine Niles follows in Voris’s footsteps by conducting an infomercial/interview with Rick DeLano about the upcoming movie, The Principle. Depending upon whom he’s talking to at the moment, DeLano can be coy about the ultimate intent behind the movie. But in this interview Niles and DeLano make it very plain that geocentrism is first and foremost a matter of faith, not a matter of science. Listen as Niles herself inadvertently gets caught up in the theological confusion. Piling On, or Holding Back? 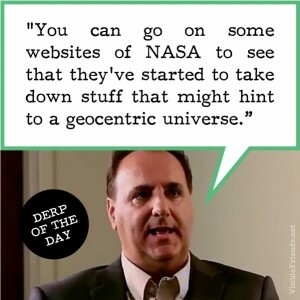 – Robert Sungenis has recently complained that documentation of six examples of his conspiracy theories on the Geocentrism Debunked Backgrounds page proves that, “Making a fool out of Bob Sungenis is paramount,” and that “[David Palm] must leave no stone unturned.” Read on to see the proof that Sungenis has it exactly wrong – a great deal of other goofy and paranoid material was originally withheld, precisely to avoid the appearance of piling on. Who Are You Going to Believe? A Matter of Credibility – If you’re going to present yourself as both trustworthy and qualified to accuse and castigate virtually the entire scientific community and the Magisterium of the Church, as Robert Sungenis has, then credibility matters. Read on to see a few recent examples demonstrating that Sungenis can’t even be trusted to get the simplest and most easily verified information correct, let alone the kind of complex information necessary to turn both the Church and the entire scientific community on their heads. Pope Francis spoke to President Peres this morning and asked to deliver a message of coexistence, moderation and peace to all the citizens of the region in light of the current security situation. His Holiness Pope Francis spoke to President Shimon Peres earlier today (Friday, 18 July 2014), and conveyed a messaged of coexistence, moderation and peace to the citizens of the region in light of the security situation. President Peres thanked Pope Francis who his involvement and concern and said, “Right now there is fire, we are trying to do as much as we can to lower the flames because we do not consider the people of Gaza as enemies. I know that the people of Gaza themselves didn’t decide on this situation that they find themselves in. 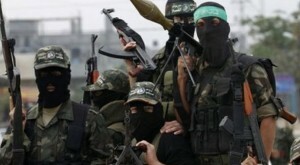 There is a small group of fanatics who are the cause of suffering in Gaza. “Our operation is aimed to bring an end to two killing methods – the rockets from the sky and the tunnels from under the earth. We have discovered two tunnels which were supposed to enable them enter into the heart of civilian life and kill indiscriminately. Fortunately we discovered it on time and prevented the murder. Right now t he main thing we are doing is to put an end to these tunnels and we are trying to see how to limit the confrontation, particularly with regard to the rockets which they fire at our civilians. 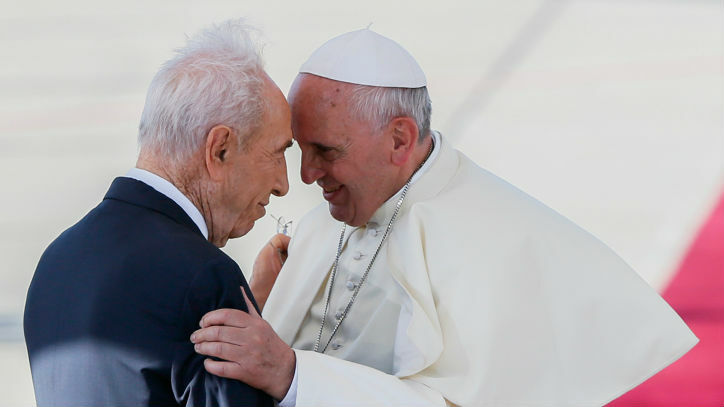 His Holiness Pope Francis said to President Peres, “This is a painful moment; I am convinced that God brings us together in prayer for peace, and please allow me to say it’s a prophetic gesture which in some ways will mark the future path. It’s true that actions on behalf of fanatics don’t leave us anywhere; it’s true that many innocents suffer and pay with their lives. “But we have to move forward and insist on this path of prayer for peace. I believe in prayer, in the power of prayer and I believe in the hearts of men who are working for peace. I ask God for a quick solution and a political solution. I’m close to you with my prayers and thoughts. 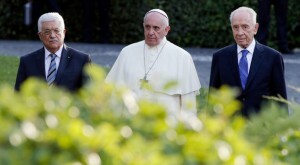 President Peres thanked Pope Francis for his efforts for peace and said, “I thank you for your efforts for peace. The three meetings that I have had the pleasure to participate in have left a lasting impression. I know that there is still a long way and I know there are difficult situations but like on many occasions, crises may give birth to peace and a better time. “Your visit in Israel and our prayer in the Vatican had an unexpected impact on many people and I believe it planted a small tree of hope in the hearts of many, which we have to continue and develop. 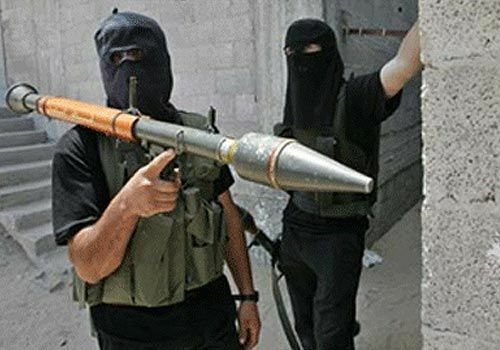 STEVE RAY’S COMMENT: Hamas is a renegade group of radical Muslims that hate Israel more than the love their own children whom they use as shields in their merciless fight against Israel. 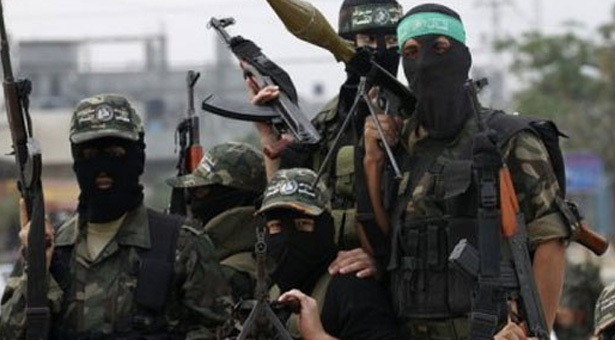 Israel uses missiles to protect it’s people; Hamas uses its people to protect their missiles. Israel had no choice but to respond and I am certain the war will be short lived now that Israel has stepped up the military action.